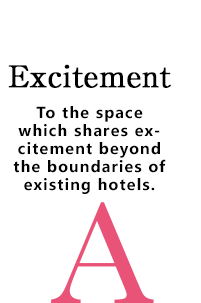 make your hotel life more fulfilling. A versatile space with a sense of light shines, reproduces you like Stay! 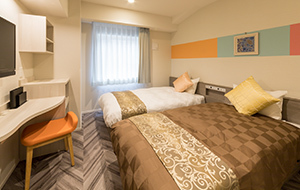 Comfortable rooms full of flooring, tatami ... You can taste the resort feeling by forgetting the hustle and bustle of the city, it is also good to take pictures for SNS with unique interior. Please spend your time as memorable. Breakfast is a pleasure for Staying guests. Viking with a variety of menus! Breakfast at the restaurant with colorful interior. Menu is also rich in variety, items of convincing satisfy each of rice and bread as well. Moreover, since it is a Viking form, energy can be charged as much as possible to begin the morning. 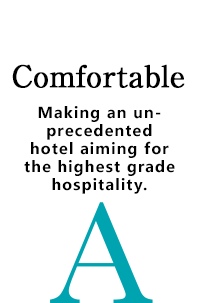 A fulfilling facility promises a comfortable stay. Chic lobby and pop design restaurant, There is a good mood in the hall with high sense interior. In addition to the facilities such as smoking booth, entrance for night locking, Completely equipped with free Wi-Fi throughout the building. Of course, we always have amenity in the room, Humidifiers indispensable for comfortable stay are also available. 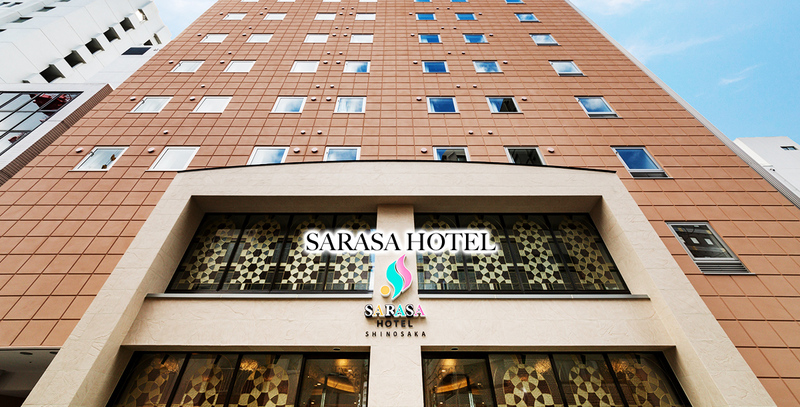 The hotel supports Japanese, English, Chinese, Korean and 4 languages. The front desk is open 24 hours a day. If you have any problems please do not hesitate to tell us. Children under 5 years old is free of charge to stay and share the existing bed with adults. No parking lot i is available in our property. Please use the parking lot nearby the hote. JCB · VISA · Master · DC · AMEX · Diners · China Union pay. Grand Front Osaka - a "town" spreading out at the gateway to Osaka and featuring the greenery and water of Nature. Therehave many trendy cafes and bars in Umekita plaza on B1F .Terrance garden is a good place to see the view. It takes about 10min by train from our hotel. Kitashinchi is the city centre in northern Osaka, Everyone thought that Kitashinchi would be crowded at night. Actually, there are many delicious restaurants recommended for lunch! It takes about 12min by train from our hotel. It takes about 15min by train from our hotel. The Kyoto Tower can be seen immediately from "Kyoto Station".Stand on the aerial path above the Kyoto Station building, great view and excellent scenery. It takes about 27min by train from our hotel. If you want to enjoy travel, food, and Onsen, Kobe is the best choice. 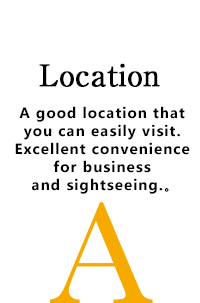 It is a great place to go shopping or on business trips. It takes about 35min by train from our hotel. It is a famous entertainment place, let you enjoy in a fantastic world! We recommend you wear casual dress and comfortable shoes. ① From JR Train "Shinosaka Station"
② From Subway Midosuji Line "Shinosaka Station"
©2017 Copyright SARASA HOTEL All rights reserved.